The strengths of our group are not simply to be considered in isolation, they mutually complement one another to form a whole system. Together, they represent the brand values of Gretsch-Unitas – the core of the securing technology system. Where our customers are, that's where we are – all over the world. After all, Gretsch-Unitas Group has a presence in all five continents. Future with system. We do not simply offer products, we offer coherent solutions in every respect – all as a one-stop service from planning to delivery, commissioning through to maintenance. For Gretsch-Unitas innovation means providing products and solutions to continuously open up new areas of application to customers – for more security, comfort and efficiency. Our products in their entirety bear the signature of Gretsch-Unitas. After all, a system can only be convincing as a whole if all of its elements are perfectly matched. We therefore manufacture at in-house facilities in Europe. Our motto "Securing technology for you" means that our customers can benefit from convincing one-stop comprehensive solutions applied to harmonised products. This ensures compatibility throughout the entire project based on the extensive range and variety of our products. Quality and qualifications go hand-in-hand. Highly qualified people are working for Gretsch-Unitas worldwide – with passion and commitment. We offer many opportunities to enrol in training and studies. We also support and encourage our employees with a comprehensive range of qualification and further training offerings. A product on its own is not a solution. The right security, function and cost-effectiveness can only be achieved with the right planning and by ensuring correct application. 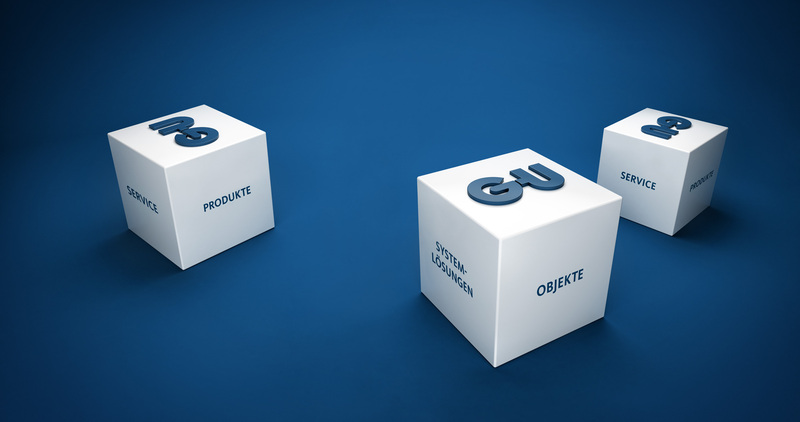 GU group therefore consistently reflects the systematic approach to its product range in its service offering. We support our customers with expert advice tailored to individual requirements, online support, a comprehensive offering of specialist seminars as well as installation (commissioning) and maintenance.